The electric hoverboard weighs only 6.8kg, with a simple aesthetic design. It is easier to carry wherever you go. 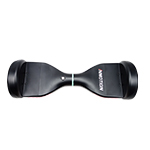 Self-balance offers more convenience for novices to learn how to ride Inmotion hoverboard D2 easily and safely. The embedded power switch is designed beside the pedal; it’s easy to see and riders may not touch it by mistaken. 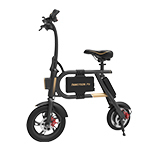 The annular battery indicator is in the middle of the self-balancing scooter, which shows the current status of the battery in different colors. D2 is equipped with high-capacity 4300mAh Samsung 18650 lithium battery pack, which is high-quality, safe and durable. The maximum range can be 15km after one charge. 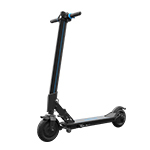 The self-balancing electric scooter D2 has a robust power with two 250W pure cupper brushless motors, so you can easily climb a slope of 8 degree. 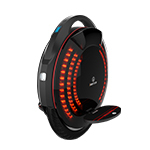 Two mainboards and two CPUs on each side of D2, and each work separately in its own area; the dual system makes riders control the hoverboard more flexibly and freely. When your speed exceeds 12km/h, the system will reduce the speed automatically to keep you safe. 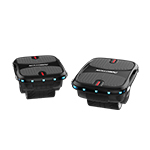 When the pedals tilt up to 80 degree from the horizontal line, the protective device will be activated automatically. When battery level is less than 10% left, the pedals will upwarp, the battery indicator turns flashing and the buzzer will keep warning. No operation for 2 minutes, D2 will be powered off automatically to save the battery life. ①The Range is measured on an even road at a speed of 8km/h, with the temperature being 25°C and load being 50kg. The riding habits, environmental temperature, road surface conditions, etc., can affect the actual range. 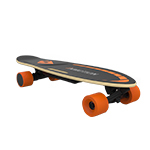 Different model versions and battery capacity also lead to different riding ranges. ② This Speed is measured on an even road with full battery and 50kg payload.